Bitner Memorials provides local families with beautiful memorials that honor memories of a loved-one's life. 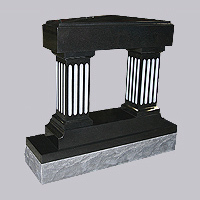 From grass markers, to towering obelisks to enduring cremation memorials, we can help you choose the perfect monument at the best value. We are family owned, and here when you are ready to make that choice.